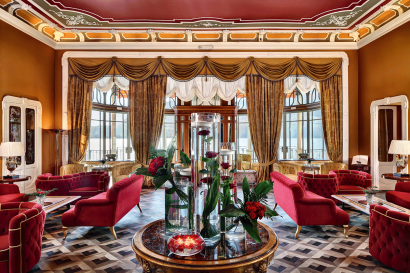 5 star deluxe Grand Hotel Tremezzo, entirely owned and run by an Italian family who has been running it for the last 40 years, opened officially with a huge party on the 10th July 1910. Since the 80’s, Paolo De Santis, CEO, worked hard for the requalification of the property and, together with his daughter Valentina who recently joined the company adding her passion to his vision, took it back to its antique splendour. Elena De Santis, General Manager, along with Silvio Vettorello, Hotel Manager, take wonderful care of Guests welcoming them personally and leading a dedicated team that works hard to make every day in Tremezzo an unforgettable and special one. Its origins date back to the era of romantic grand tours in the early 1900. 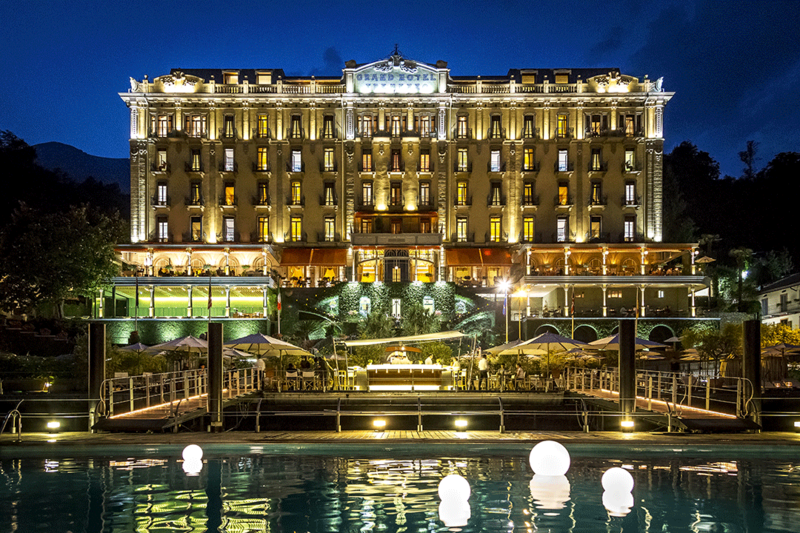 Founded by a visionary and well-traveled family from Bellagio, it was the only Grand hotel on Lake Como, welcoming the most sophisticated and aristocratic international travellers of the time. Today, another family is proudly carrying forward the Grand Hotel Tremezzo tradition, celebrating over a century of charm and authentic Italian hospitality. Continually updated and renewed during Winter closure, it does not look its age. Grand Hotel Tremezzo enjoys the primary location on the shores of Lake Como, just in front of Bellagio peninsula, offering the most breathtaking postcard view of the whole of the lake at every moment of the day. The Rooftop Suites are the most exclusive and desired suite-accommodation in the area, and should not be missed for who’s looking for a one-of-a-kind experience. 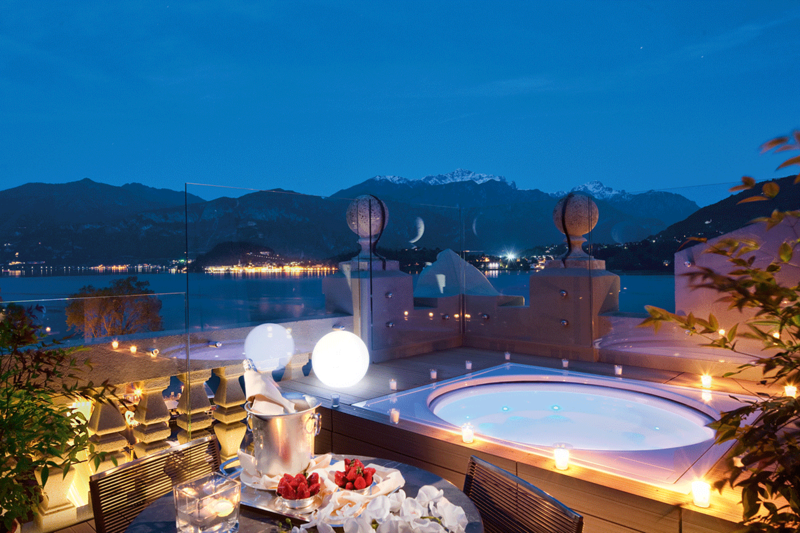 They have been inaugurated in 2012, and each of them offers a panoramic outdoor Jacuzzi situated on the private terrace looking out onto the spectacle of the Lake. Our MARINA, composed by RUY, the period Venetian Lancia boat and also BATT, the “new born” a Venetian motor launch that will be always available exclusively to guests staying at the hotel. The warm approach and top notch service that only a family-owned hotel can offer complete the experience, making every Guest at the Grand Hotel Tremezzo feeling welcome, special and at home. Just one hour’s drive from Milan and its airports, Grand Hotel Tremezzo is located in the heart of Lake Como, where all the main and most fascinating touristic attractions stand and just in front of Bellagio, considered the pearl of the lake. The magnificent 18th century Villa Carlotta, just a 2 minute’s walk from the Hotel, is famous for its art collections and celebrated botanical gardens. Villa Balbianello, set amid florid gardens on a promontory, where scenes from James Bond, Casino Royale, and Star Wars were shot, is one of the most dramatic locations on the Lake and just 10 minutes by boat from the Hotel. The Divine Greta Garbo mentioned the hotel in her famous film “Grand Hotel” (1932). 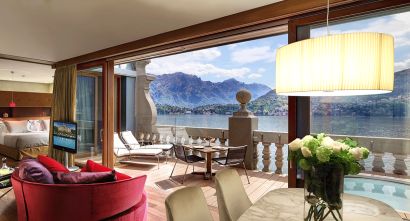 Nowadays, Grand Hotel Tremezzo’s most important historic suite is inspired by the regal charisma of one of Hollywood’s greatest actresses. For families with young children wooden toys are available, books of fairy tales and a large choice of DVDs (to be viewed in the TV room or in your own room) as well as satellite channels for kids and teenagers. Buckets and spades are available for toddlers to play on the real sand beach. 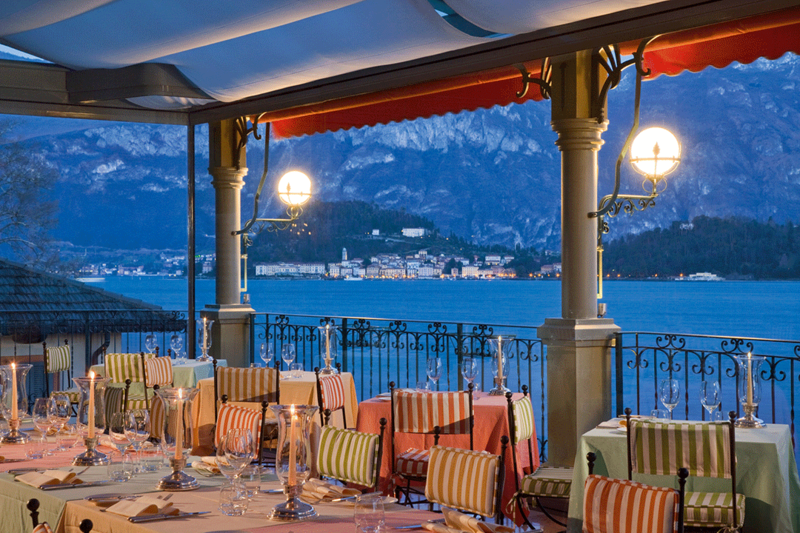 All Grand Hotel Tremezzo restaurants offer a Baby Menu. • 5 hyper-luxe Suites and 3 Junior suites in the hyper-exclusive all-suites Rooftop Floor, with private panoramic terraces and outdoor heated Jacuzzis. 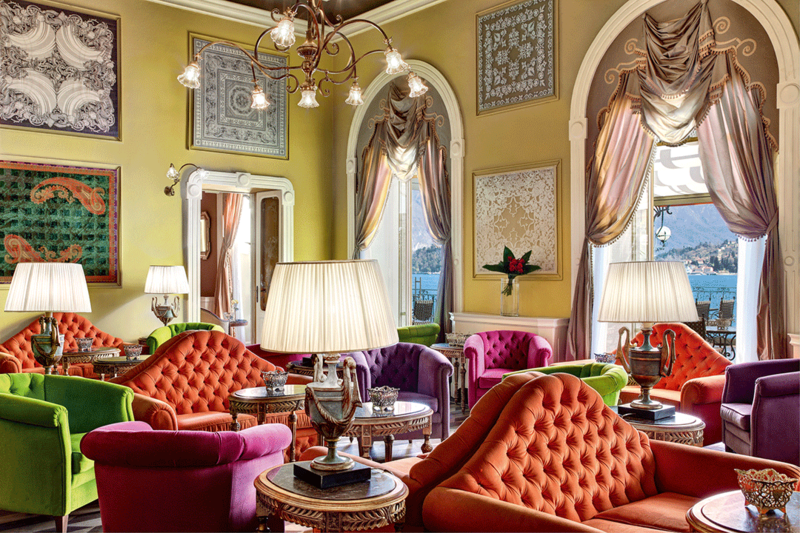 • 4 luxurious historical Suites in the centre of the original Palace – Suite Carlotta, Suite Greta; the super romantic Suite Maria (Honeymoon Suite) and the newly renovated Suite Aurelia. • 8 Deluxe Rooms occupying the Palace corners, with double windows offering a 180° view over the lake. All rooms and suites offer Guests an extraordinary sight, whether breathtaking views of Bellagio and the Riviera delle Azalee, or the peace and tranquillity of the flower gardens and age-old park. The gourmet-dining season at the Grand Hotel Tremezzo makes a hit with the ‘Grande Cucina Italiana’. Gualtiero Marchesi, the world’s most famous Italian chef works together with the Executive Chef Osvaldo Pressazzi to offer Guests a truly authentic and unique Italian dining experience in all the hotel’s five upscale dining venues. • La Terrazza – The finest and tastiest examples of Italian cuisine, reinterpreted by the Maestro Gualtiero Marchesi together with our Executive Chef Osvaldo Presazzi, served on the loveliest terrace on the whole of Lake Como. • L’Escale Trattoria & Wine Bar – The special pleasure of an informal meal of pasta all’Italiana, meat and fish fondues and grills, accompanied by the best Italian regional wines. • T Bar – A romantic lounge, ideal for one of the signature cocktails of Head Barman Max at sunset, with the candlelight flickering at the moon. • T Pizza – Starring Italy’s iconic dish, for lunches or private parties in the heart of the park. 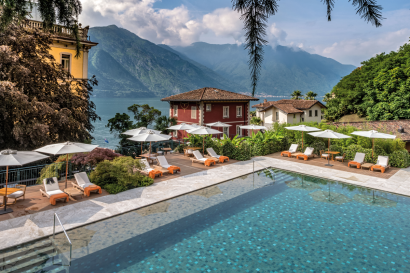 • T Beach – Delicious barbecues and light meals on the lake shore, with a stunning view of Bellagio, ideal for guests who don’t want to miss a minute’s sunshine. The Grand Hotel Tremezzo offers Guests an entire world of temptations for a perfect and relaxing holiday on the lake, including three swimming pools, a private sandy beach, a private boat, a luxurious boutique spa, and over 20,000 sqm of lush secular park incorporating a panoramic path, a floodlit clay tennis court, and a fully equipped 3 storey gym open 24/7. • T Spa – An oasis of wellness for body and soul, it offers skincare collection and Spa treatments by ESPA, one of the world’s most exclusive, distinguished beauty providers. • T Spa Suite – A real ‘Private Spa’ secretly hidden in the garden, with sumptuous whirlpool tub, sauna and steam bath with contrast cascade shower, and the most private couple treatment room. A true haven of pure tranquility just for two. • Flowers Pool – The perfect place to swim and relax immersed in nature, in the peace and quiet of the century-old gardens. 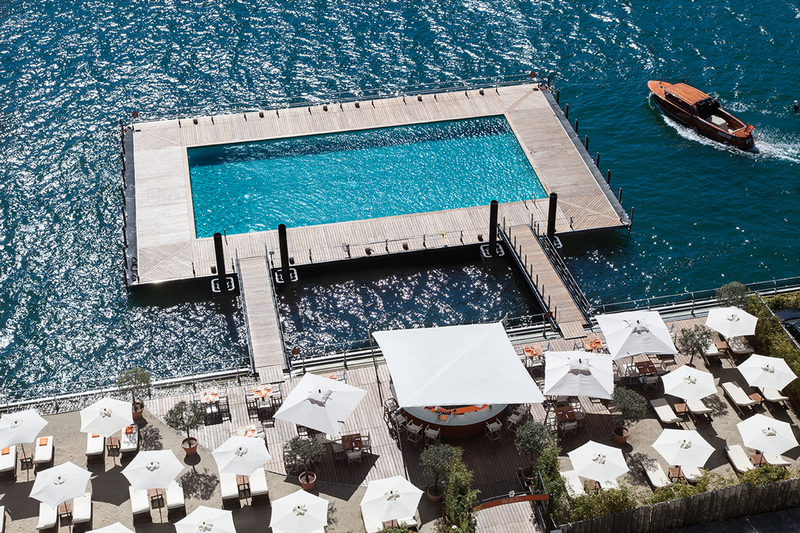 • WaterOntheWater – A crystal-clear pool set in the blue of the lake, for an unforgettable swim looking over on Bellagio. Next to the floating pool, real sand recreates a classic lido for sunbathing with a view. • T Spa Infinity Pool: – The indoor swimming pool, in the inner sanctum of the spa, is a strip of azure, ultra pure energy. Infinity effect and a breathtaking view of the lake from the outdoor Jacuzzi and the relaxation lounge. • Some occasions are unique, once in a lifetime moments that deserve the Grand Hotel Tremezzo, sure to deliver enchanting moments that guests will never forget. Events large or small, but always with the same verve, the same unmistakable chic! • Rooms of various sizes available to host all types of corporate gatherings: board meetings, presentations, conventions… and all with the rare advantage of true natural daylight. All are fully equipped with the latest technologies and can be furnished to meet your specific needs. – Condé Nast Traveler Reader’s Choice. 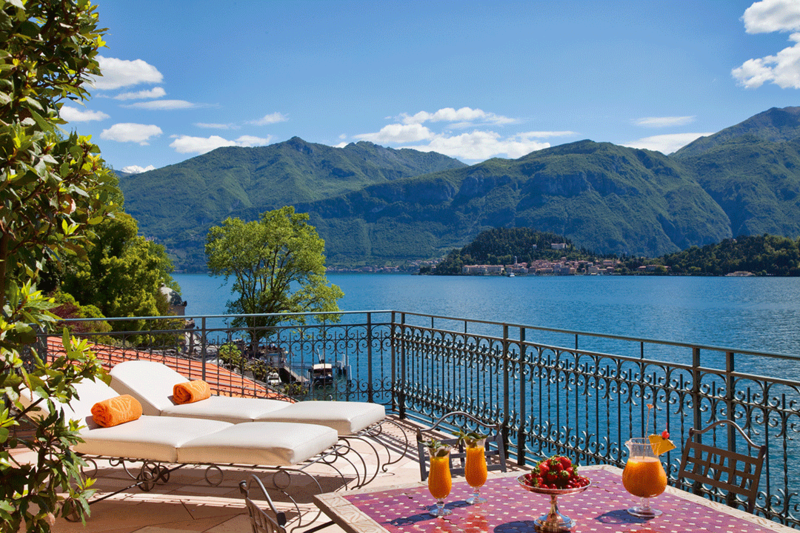 Grand Hotel Tremezzo ranked among the ‘Top 50 Hotels in Italy’. – Elite Traveller: Rooftop Suites named among the 101 top suites in the world.